Peddle your way through Mother Nature’s neighborhood. 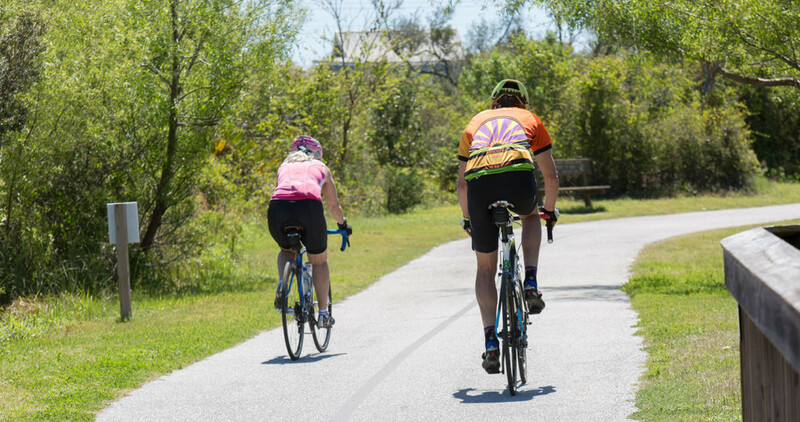 Taking a bike ride is just as inspirational as taking a hike when you’re surrounded by so much coastal scenery. Our extensive car-free trail network is ideal for exploring everything the park has to offer. Rentals are also available for those visiting without a bike of their own. And with so many ways to access the park after parking, you can leave your car behind until it’s time to pack up your bike and head home. A visit here conjures up stories of fierce warriors and other Native American legends, including the mysterious “cat man.” Today it’s home to amenities like a screened Pavilion, picnic areas, and other places to gather. 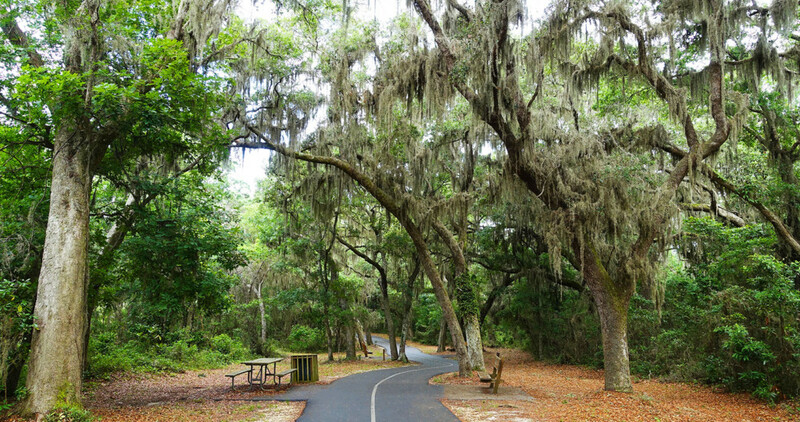 Ancient mossy oaks and beautiful vistas alongside a diverse amount of native wildlife make this the perfect place to walk and relax. It’s even designated as a stop on the Alabama Coastal Birding Trail registry. 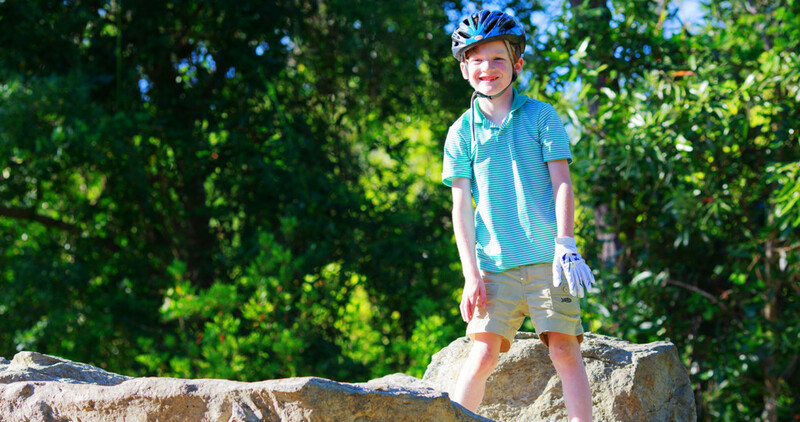 Kids will find plenty of outdoor action climbing on boulders near the Butterfly Garden and Pavilion. Who knows, maybe their parents will climb aboard as well. 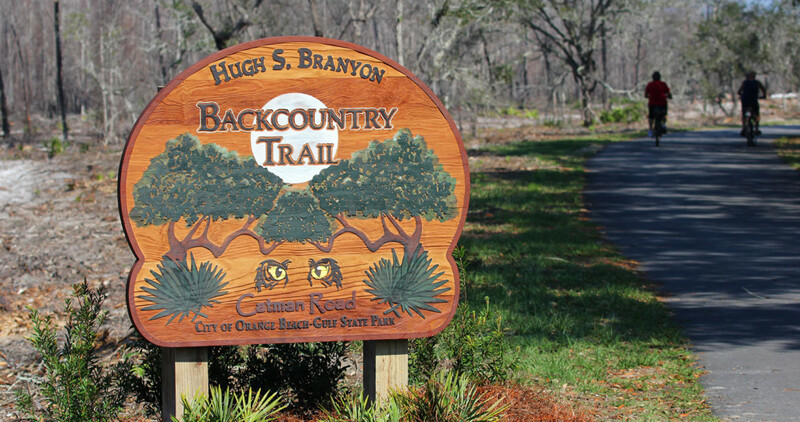 Cruise along the Backcountry Trail on a 2-hour guided tour. Experience the beauty of our forests, lakes, and swamps with stops at popular destinations like the Butterfly Garden and Boulder Park. 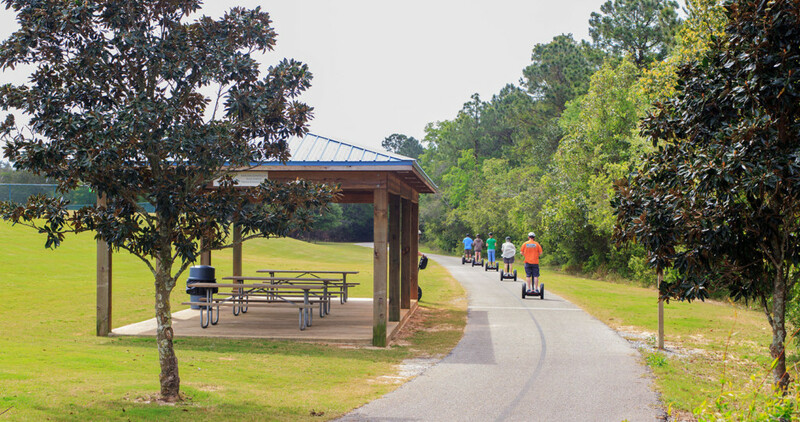 For more information on booking your Coastal Segway Adventure, visit coastalsegwayadventures.com. With a vantage point as high as 90 feet above the ground, experience the unforgettable views of our white sand beaches and freshwater lakes at Gulf Adventure Center’s Hummingbird Ziplines. 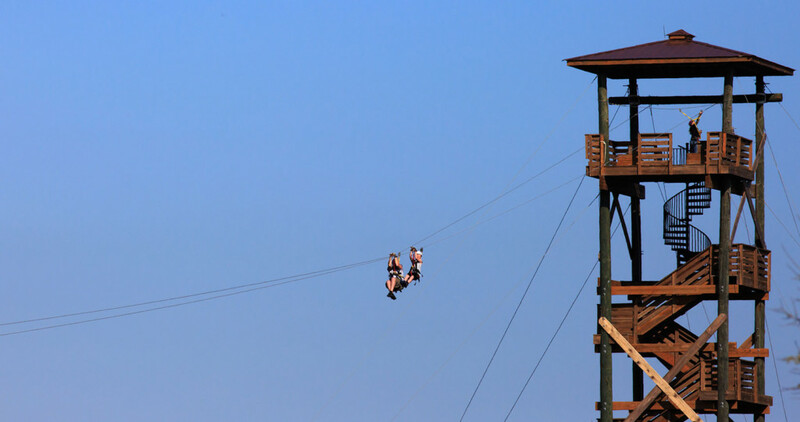 This exhilarating tour spans over one mile across seven tours and six ziplines. Visit gulfadventurecenter.com to plan your zipline adventure.